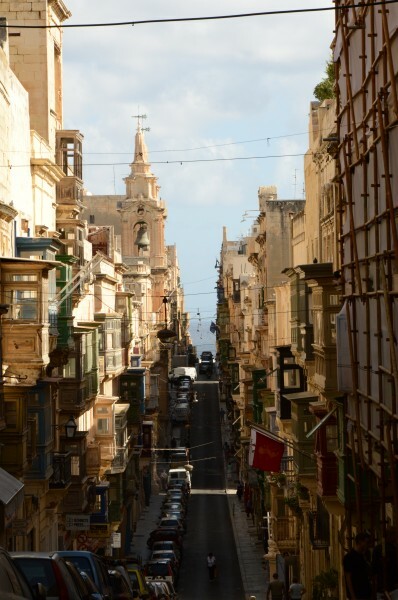 St Paul’s Street is one of the most authentic of streets in Valletta’s tight grid. 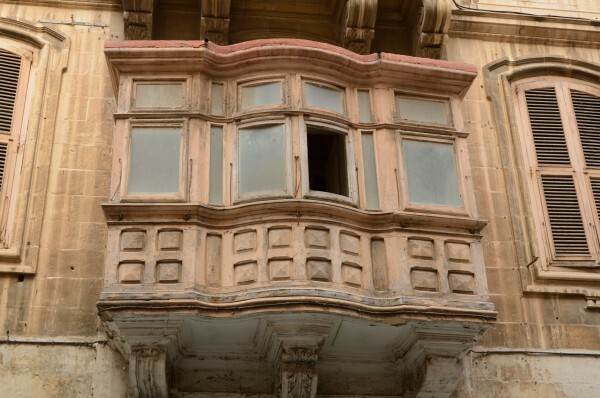 For most of the past half century, it’s been almost abandoned and in steady decline as traditional shops closed their shutters and ageing tenants and residents passed away or gave up doing business here. St Paul’s Street has remained a bit of a backwater despite being a useful traffic thoroughfare in an increasingly pedestrianised Valletta. It lives in the shadow of its wider, bustling neighbours Merchant Street and Republic Street. However, its faded glory has made it all the more alluring, and it is now seeing an influx of new life. St Paul’s Street is now ‘des res’ and up and coming; the kind of street to get real estate agents and speculators drooling over its potential as a historic gem and time capsule. Boutique and bijou hotels, design firms, and renovated shops offering speciality, artisinal products are springing up week by week; a good indication that St Paul’s Street is a changing, and fast. For now though, St Paul’s Street is a more old than new, and for a few more years yet will remain a time warp. 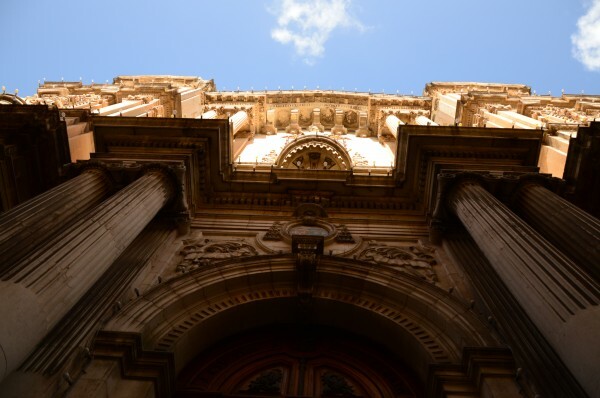 It is home of course to numerous magnificent, historic buildings – from palazzini or grand patricians’ homes and the old university building to the covered market which was modeled on Les Halles in Paris. 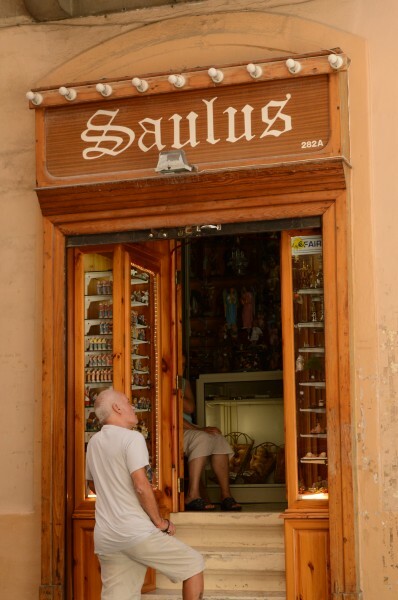 It houses also one of the island’s most famed festas – that of St Paul’s Shipwreck church, held in February. Francesca di Puccio pointed her lens at just some of sights she came across on a slow walk along this most fascinating of Valletta’s streets. That she shot some 150 photos and spent three hours in just this one street is testimony to how St Paul’s can mesmorise us. A view of the road from one of his best points; 152 shots in three hours passed in this charming road, full of movement and small houses with colorful balconies. 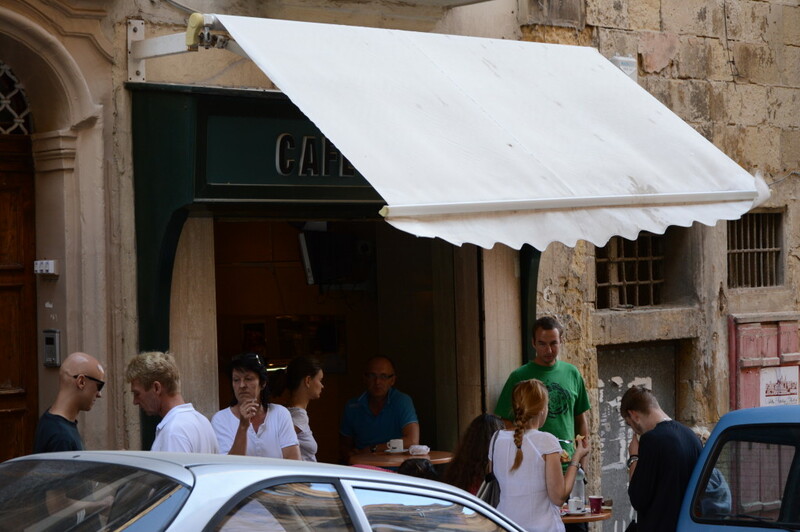 There aren’t many bars where you can enjoy a simple coffee or have breakfast, so the bars that are here are full of Maltese and tourists mingling shoulder to shoulder in the same small hole-in-the-wall for a drink with friends or to eat something before start their tour of the city. 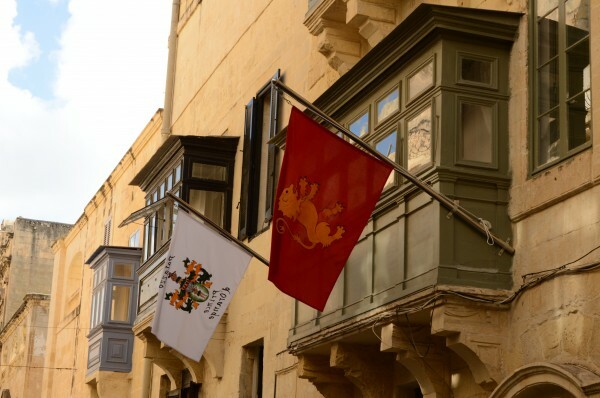 There are also many restored buildings; these are very welcoming, some very luxury, an example is the palazzino, ‘The Prince of Orange’, that offers wonderful apartments, decorated in Maltese style and with indescribable panoramic views. 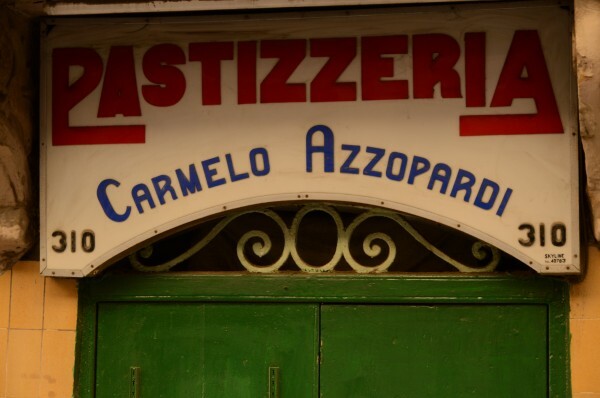 There are many local restaurants where you can taste speciality Maltese dishes, but there are also some small, traditional take-aways where you can buy Maltese pastizzi that are delicious, homemade, and still warm and soft. Not far from St Paul street there is the sea, you can glimpse it from some perpendicular streets, where the blue mirror-like surface of the calm harbour waters contrasts with the yellow of the houses. For all its faded houses and appearance of solitude, it is ironically a very busy street too at certain times of day. 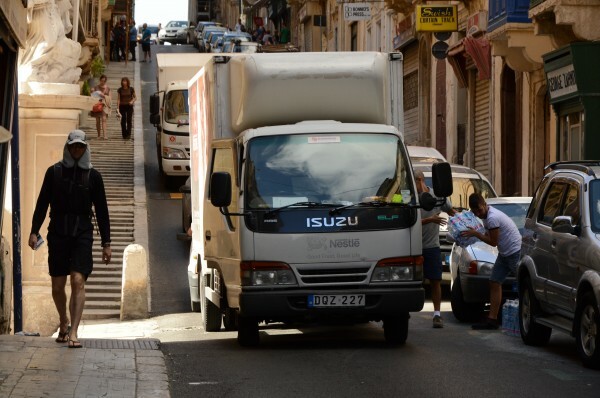 When the shops open, there are a lot of cars and delivery trucks whose drivers and hands have to unload everything as quickly as possible to stop the horns of impatient motorists jammed behind. 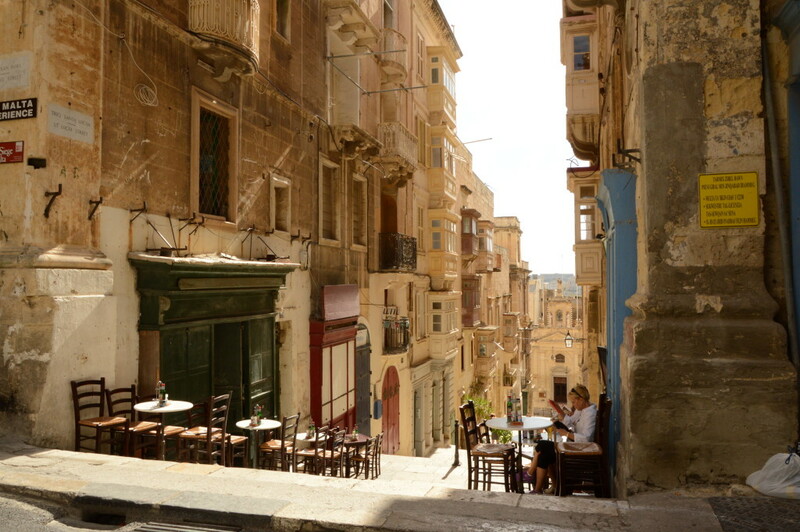 The street is full of wooden balconies so typical of old-style Maltese architecture; the thousand colors of these make the road very lively and cheerful. Many are abandoned, others haven’t glass on the windows, some are more particular and refined, and hint at their role and glory in times past – like the one in the photo. But all create the beautiful atmosphere of walking this street. 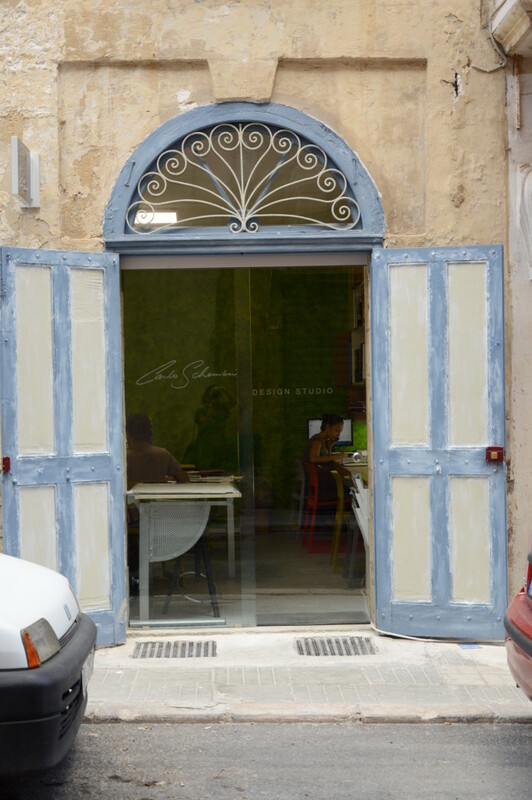 There are new activities, such as the design studio in the photo; these seem to fit very well here, juxtaposing new with old. The way many businesses are sensitively restoring the buildings means we can still enjoy the typical architectural features and get a feel for their history. I noted in particular the strange sight of the restaurants and bars in the side streets, positioned on the steps down to the sea with their tables perched on each ledge, the sun illuminating the tables full of tourists at lunchtime. There are still some older shops that seem to have been trading for years, selling things like bed linen, ironmongery, spices, and religious artefacts such as figurines for the nativity scene. The shops are dark inside and invite you to enter and discover what those colored windows hide behind them. Do not forget the fascinating church of St Paul, wedged between two buildings, with a high front. To get your camera positioned for a good shot from the outside is almost impossible, even crossing the street. 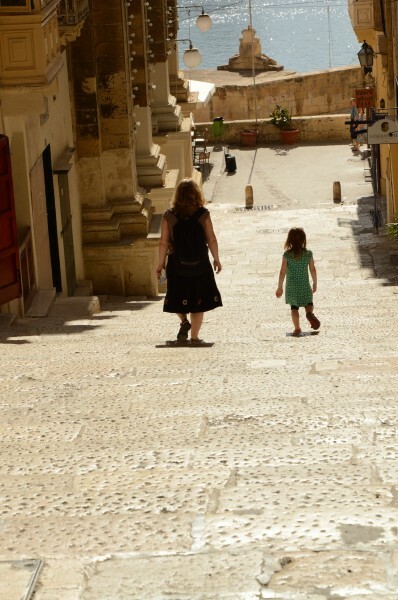 This remains one of the most beautiful churches in Valletta. It has some strange relics inside in its dark, almost mysterious interior. St Paul’s Shipwreck is one of the must-sees and so different from other churches in Malta; a unique landmark on this truly remarkable street in Valletta.